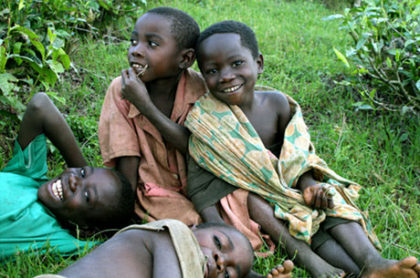 Encouraging children who live near the gorillas to love the environment can change their nations' conservation efforts, creating the forest-friendly farmers, conservationists, artists and eco-tour operators of tomorrow. 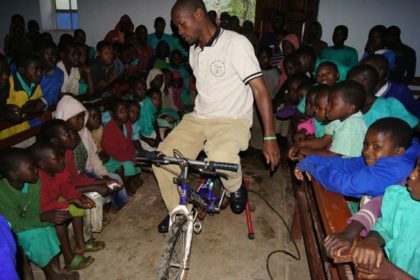 Our innovative pedal powered cinemas allow us to show educational films to children in some of the most remote communities. 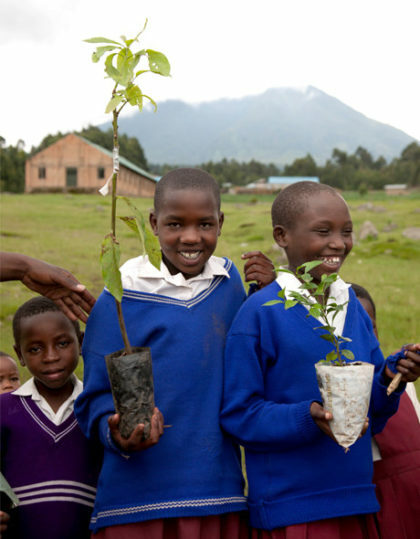 Children are invited to write poems, direct their own plays, paint, sing about environmental conservation, and plant trees that will grow into a green buffer to protect the gorillas’ natural habitat. Our staff work tirelessly, visiting schools in Rwanda, Uganda and the Democratic Republic of Congo to show films, give talks and distribute our Digit News newsletters as they work to create the gorilla guardians of tomorrow.